I have to admit, I have not been crafting much of late. I just had not time for it. 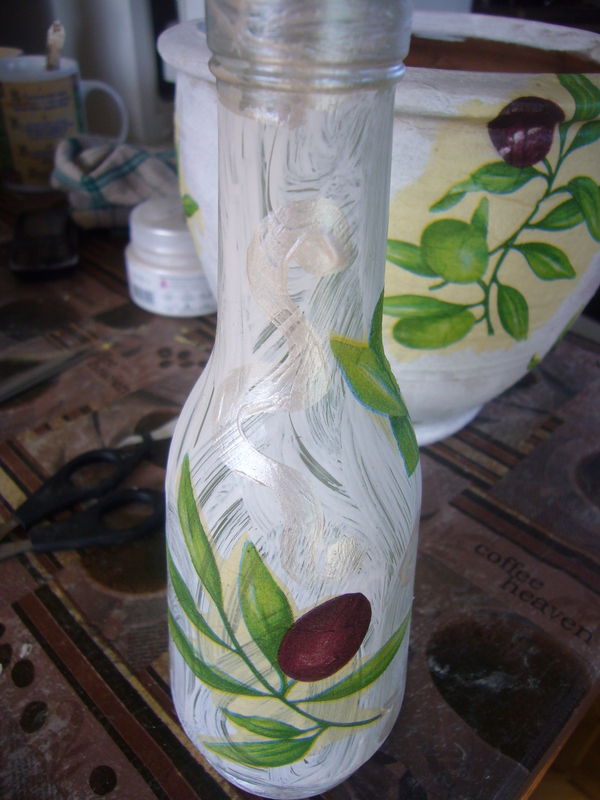 Here is one of my recent and partially unfinished decoupage projects on glass bottle and clay vase. This is a smaller size decoupaged glass bottle. It is finished and I am using it for my fresh salad veggie oil. 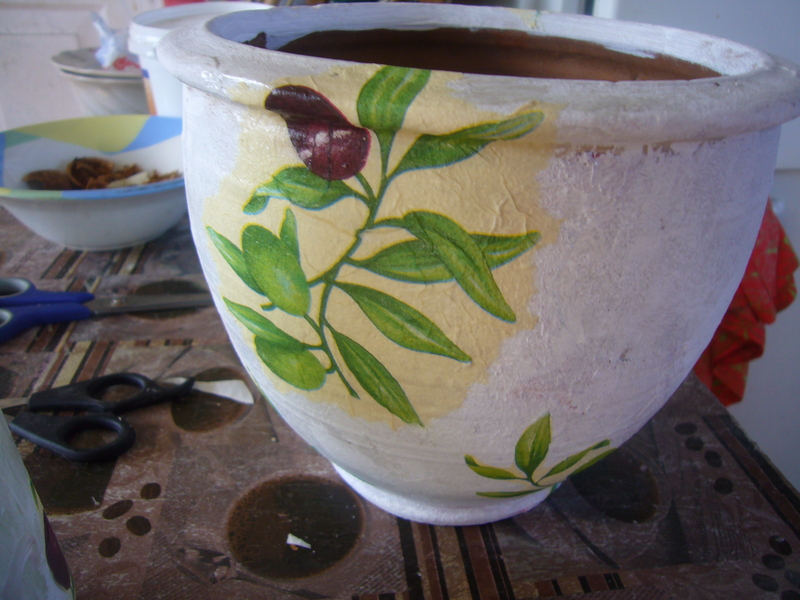 The clay vase is not finished yet, but I am still using it in my household. It’s an authentic old clay thing. I keep fresh apples and other fruits in it. That’s all for now as to my decoupage projects. This entry was posted in Decoupage ideas, Uncategorized. Bookmark the permalink.